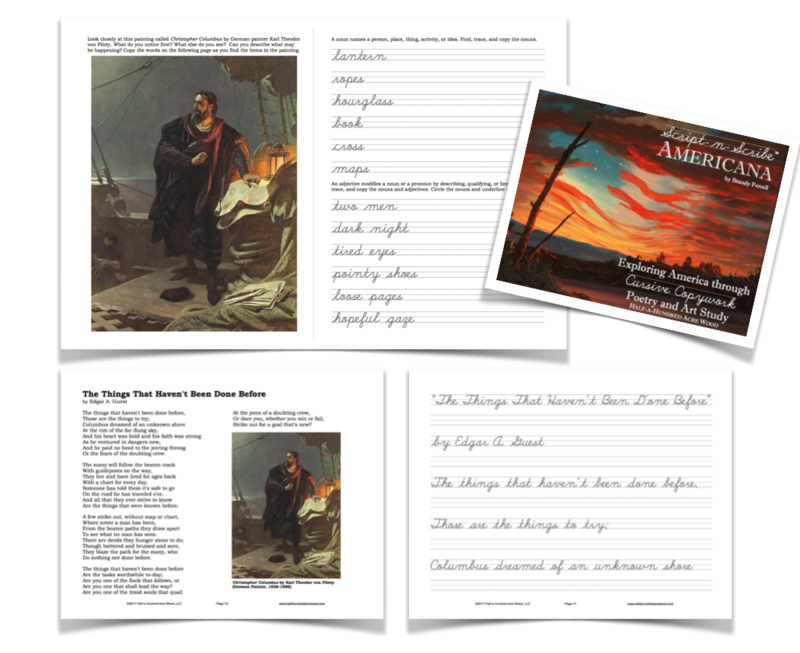 Script-n-Scribe™ Americana PDF Only Our cursive copywork and art study program for American history seamlessly and effortlessly encourages the study of art and poetry, two elements that make for a beautiful learning experience. 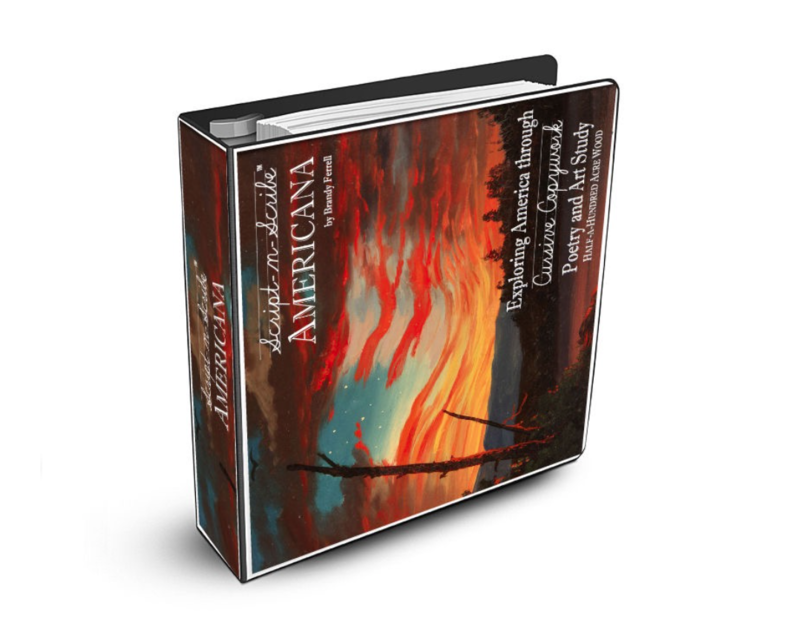 Features 12 poems and 14 works of art related to U.S. History, including historical events and persons from Columbus and the Pilgrims through the early 1900s. 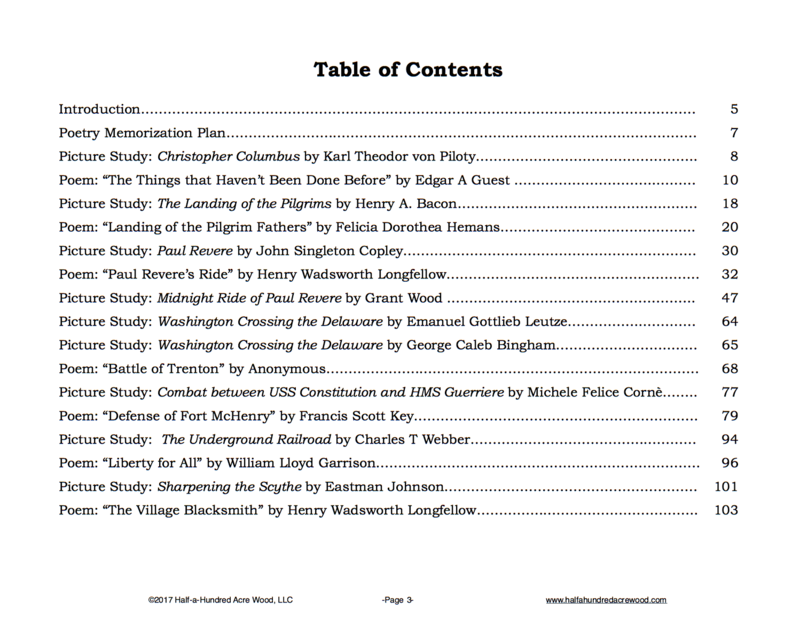 Format: PDF Download (Mac & PC Compatible), 164 pages. For individual family use. 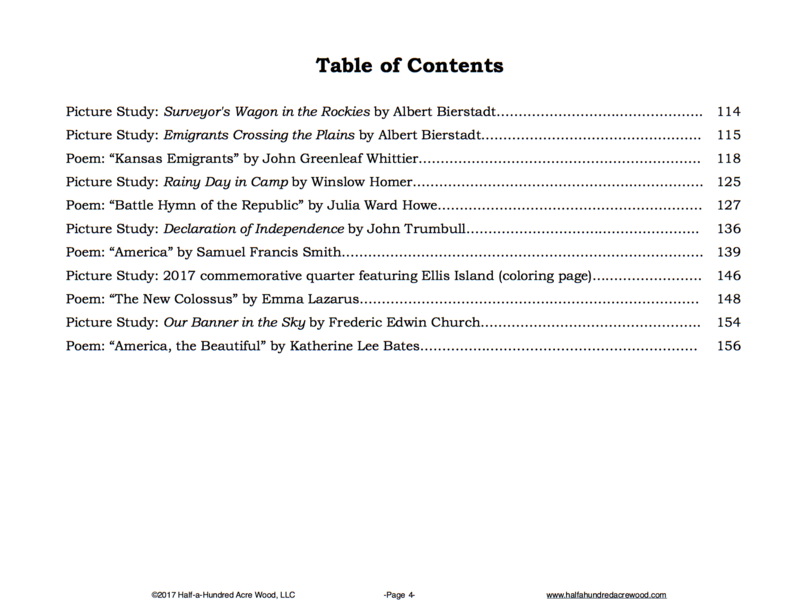 Download sample. 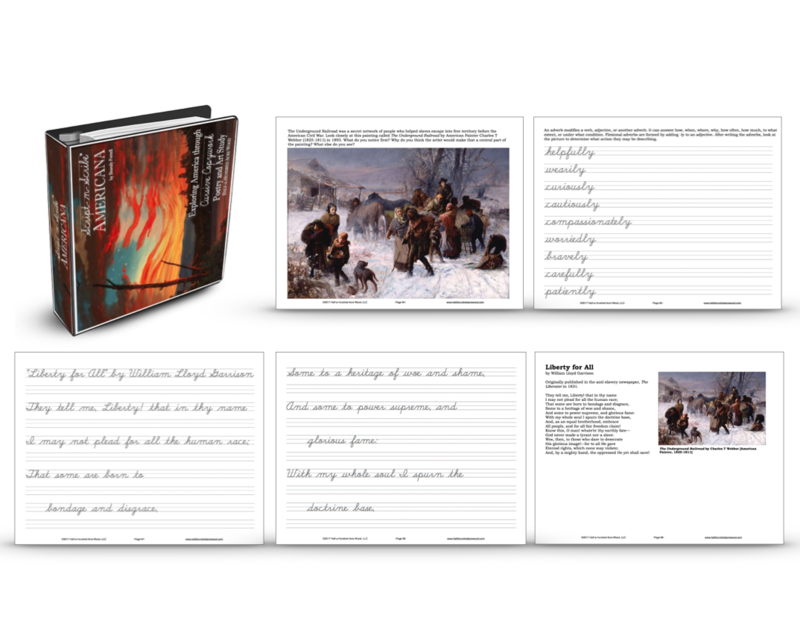 Note: This resource is eligible for purchase through a charter/public school program.